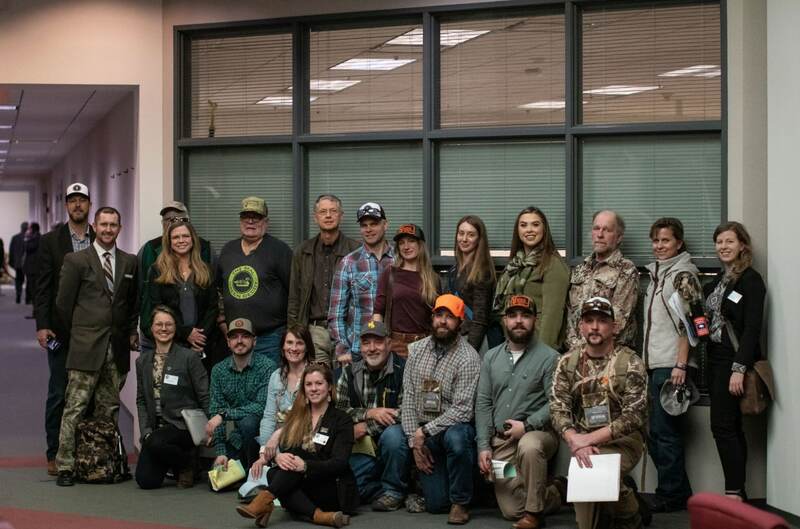 I went to the Wyoming Capitol this week to do some lobbying and take part in Wyoming Wildlife Federation’s (WWF) Camo at the Capitol events. I won’t lie; in light of our current political landscape I expected to leave disheartened and feeling powerless. I came home with the opposite opinion. 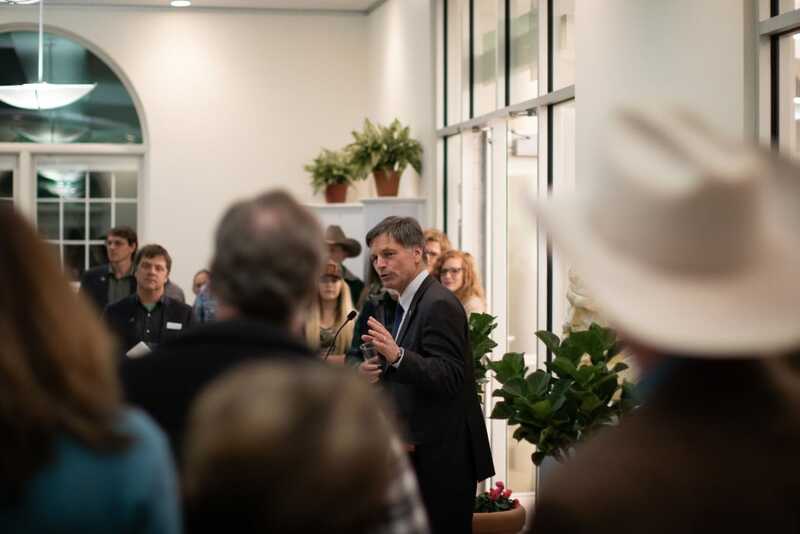 After walking the halls, going to committee meetings, and sitting in on House and Senate sessions, I feel empowered and certain that thoughtful input from Wyoming citizens is valued by our legislators. Don’t get me wrong. There are a lot of strong, often opposing, opinions in the Capitol. However, I was struck by the respectful discourse and willingness to hear the opposing viewpoints. Did I see some of the behavior we’ve become used to seeing in Washington DC these days? Sure, there are firebrand politicians with little interest in the middle ground in the Wyoming Capitol too. But many are genuinely trying to do the right thing on behalf of their voters, and that’s why it is imperative that we as constituents make our concerns heard. The people we have elected to represent us in Cheyenne have a huge workload. In the week I was there, at least three legislative sessions started at 7 AM and ended after 10 PM. Between the Senate and House, legislators have eight weeks to decide on about 480 bills and their numerous amendments. There is no way any human can be an expert in that many fields. If you are well versed about an issue you are passionate about, you owe it to your representatives to share that with them. First of all, the only way they can know how their constituents feel about something is if you tell them. Secondly, you might have valuable information that can educate them on the issue. 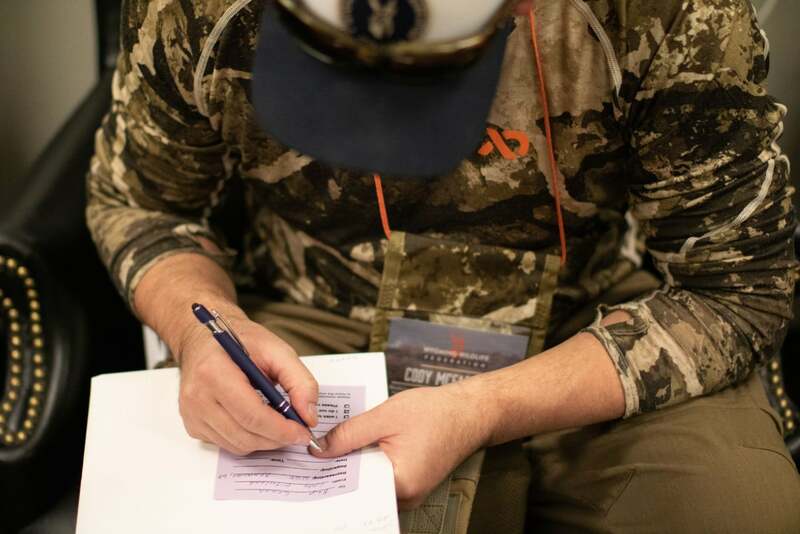 Hunters and anglers were thoroughly noticed during Camo at the Capitol, both by the legislators and the opposing lobbyists. Those of us in the building that day got an official welcome by the House after noon recess. When we stood up we filled almost half the gallery, so we were hard to miss. Showing up is powerful. Attending conservation events or discussing policy at your local outdoor shop is awesome. It’s a great way to create awareness in you community about really important issues. However, preaching to the proverbial choir doesn’t facilitate actual legislation. To be heard by the legislature you have to take direct action. Driving across the state on winter roads to be at the Capitol in person isn’t the only way to make an impact in politics. Write your representative a concise and informative email. Outside of the legislative session, ask her/him if they’d be willing to meet you over a cup of coffee to discuss issues important to you. If you are respectful, non-combative, and mean well, you don’t have to be a slick lobbyist with expert debate skills to be heard. 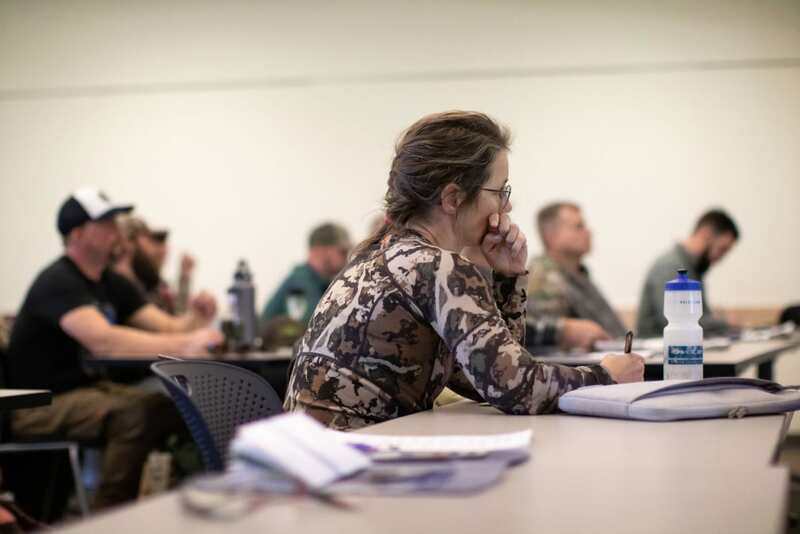 I’ll give you an example: a representative changed his mind on a bill concerning regulation of hunting methods because three bowhunters from his district took the time to send emails to explain why they thought the bill was a good idea. Three people. Three people who spoke up were enough to change an influential man’s mind. If you feel overwhelmed and don’t even know where to start, I totally understand. The Wyoming Wildlife Federation can help with that. Check out the list of bills WWF is currently tracking. I also encourage you to sign up for our updates, action alerts, and notices, to stay informed about important issues and also get some ideas about what to say or write to your elected officials. Stine Richvoldsen is a member of our Conservation Ambassador program. 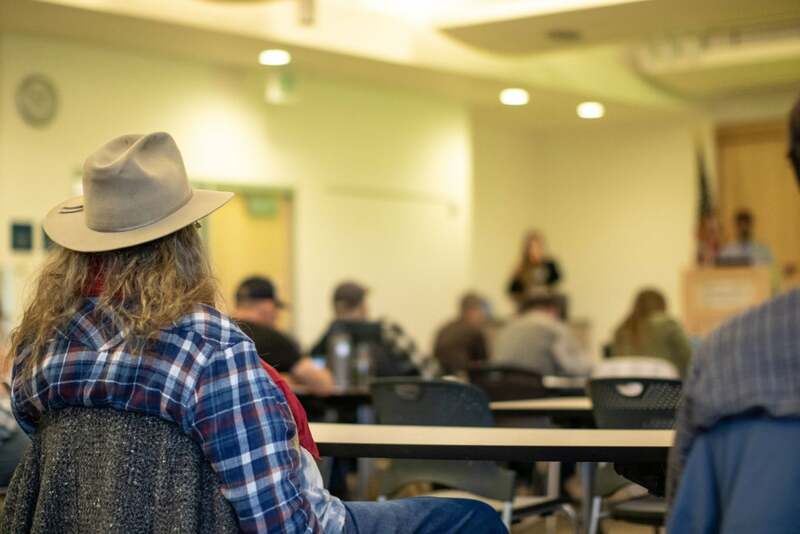 The program seeks to build a collective of conservation-minded folks throughout the state by empowering local individuals to make real connections in their communities. 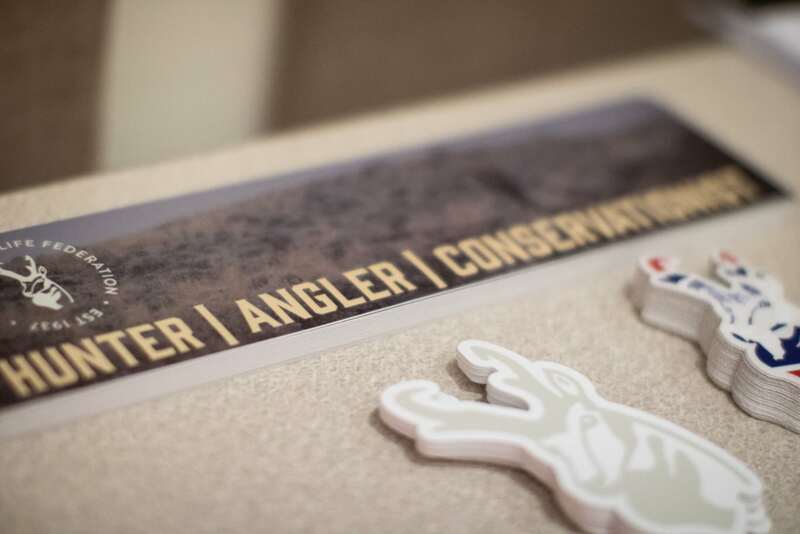 Check out the Conservation Ambassador NEWS post to learn more.